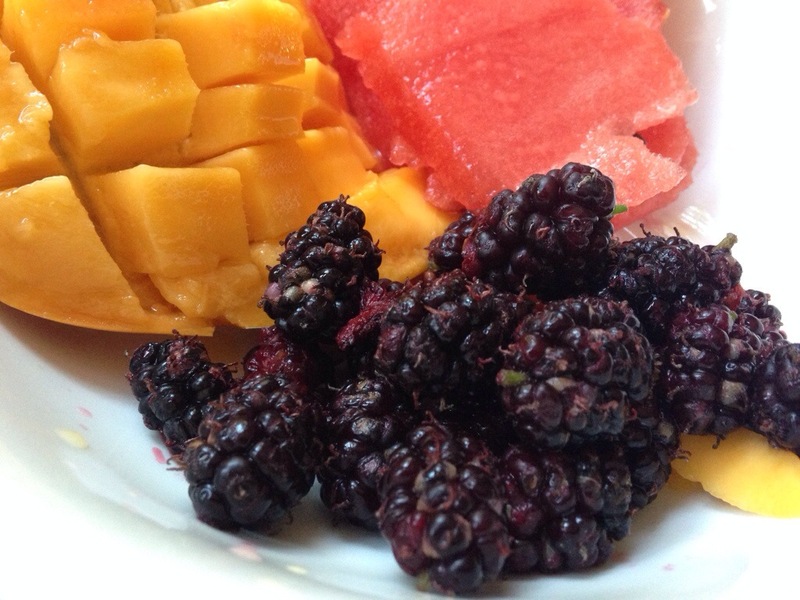 We’re off to a good start this morning with a bowl of fresh in-season fruit. 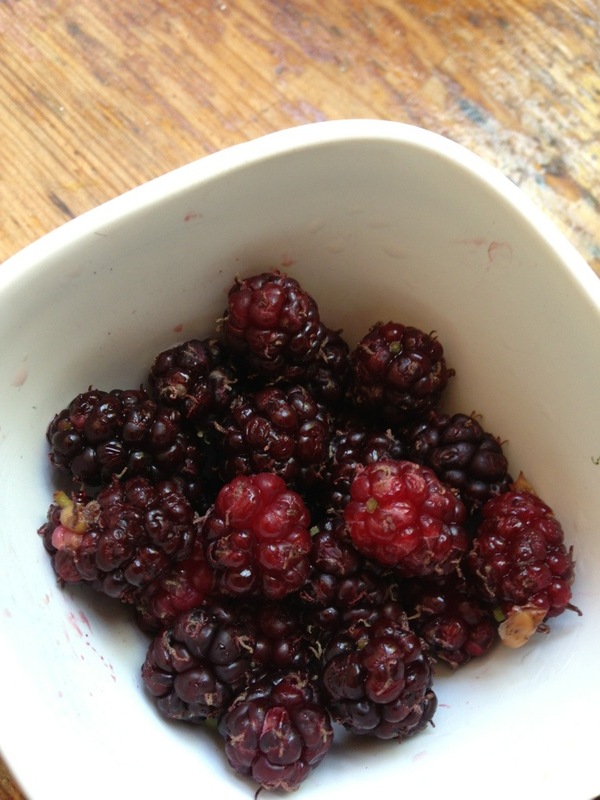 And the anti-oxidant packed mulberries are very low carbon miles because they’re straight from our tree! I’m loving the watermelon and mango that’s adorning the shelves of the local grocer too. Their flavours are so intense, making them a joy to eat! And the best thing about eating seasonal produce is that we can look after our health. The different nutrients, vitamins and minerals that are delivered in the produce of the season keep us well nurtured for the conditions at hand. 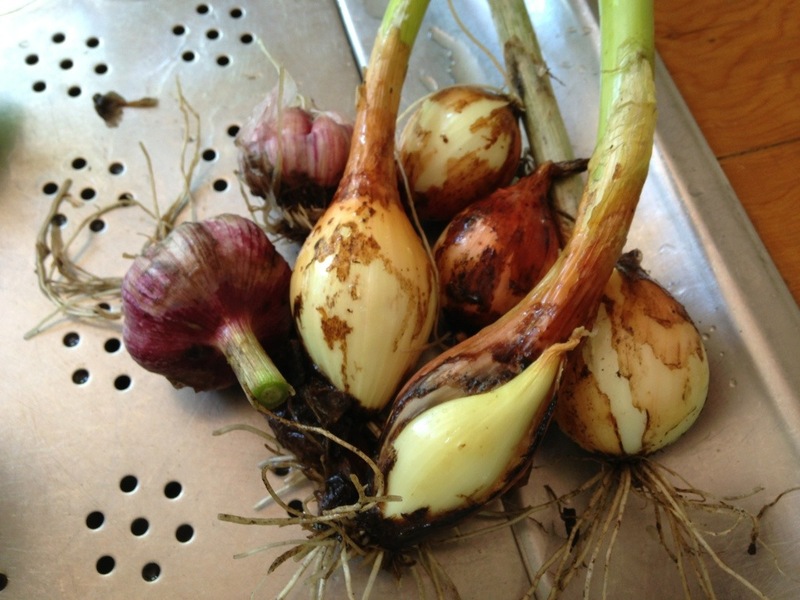 After the Christmas festivities, Hubby’s been out in the veggie patch and found our shallots and garlics are ready! The aroma is amazing! And the dear old mulberry tree is bursting with beautiful dark berries. The flavour is intensely delicious and my fingers are stained a beautiful dark purple… So is my tongue: evidence that I may have eaten more than I’ve picked! With this fresh harvest, we’ve suddenly recovered from our Christmas Food overdose! We’re thinking yabbie tail pasta with shallots and garlic, and mulberries for dessert with a good dash of ice cream!